Despite his many years as organist at St. Sulpice and the Madeleine, Gabriel Faure left no published music for solo organ. This collection brings together for the first time in one volume fifteen arrangements of his music for organ. The selection includes both sacred and secular, familiar and not so familiar pieces drawn from a wide variety of original genres: songs, choral, piano, orchestral and chamber music. 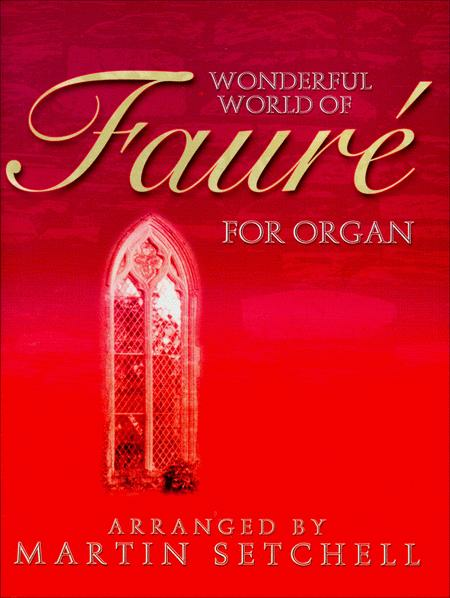 These arrangements will make more of Faure's exquisite music easily accessible to a larger circle of organists.